The Quickie Pulse features one of the smallest footprints in its class at less than 34" in length and 24" in width. A mid-wheel drive base allows the Pulse to turn on a dime. The combination of a small footprint and mid-wheel drive performance allow you to maneuver around your indoor spaces with confidence and ease. 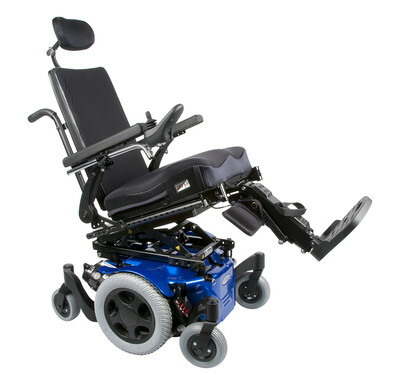 Now available with a Black Tire Package and 15 shroud colors options, the Pulse electric wheelchair is sure to have a look you'll love! 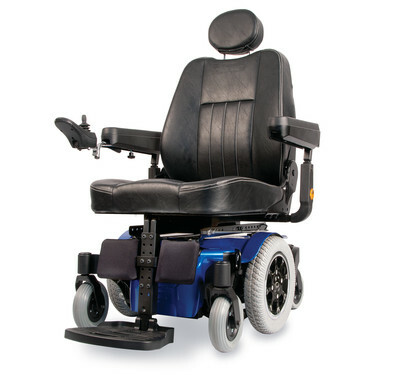 The Pulse is available with the Captain's Seat and ASAP II Rehab Seat options. The Captain's Seat provides a relaxed sitting position and features a semi-recline, fold-down backrest, adjustable seat size, and convertible seat pan that allows you to use your preferred cushion. Available on BC and SC models, the ASAP II Rehab Seat (pictured right) keeps up with you as you change. With expansive adjustments and more backrests, armrests, legrests, and accessories, the ASAP II is our most versatile power wheelchair seat frame ever. The Pulse now features a complete portfolio of power seating options. In addition to power tilt, a 9" seat elevate, and power elevating legrests, the Pulse is now available with 3.7 Power Recline with Power Shear Reduction! The 3.7 Recline Rehab Seat offers 14" to 22" seat widths, allows for seat heights as low as 16.3" and offers the Integrated JAY J3 Back option so you can experience the benefits of both the J3 and shear reduction. The low profile electronics enclosure shell offers a clean look and extra space for storing backpacks or accessories. The Pulse Series offers numerous Specialty Input Devices that help make independent mobility possible when using a standard joystick is not the best option. Options include both proportional and non-proportional controls, with multiple options available on-chair from specialty input device leaders Switch-It® and ASL®. Also new to the QM-7 Series are accessories from RAM® and Active Controls that simplify daily activities. From phone/tablet and cup holders to an auxiliary USB power source and ReCharge™ battery charger, the Pulse accessories make living in today's consumer electronics world that much more convenient. No Power Seating, Captain's Seat: 250 lbs. 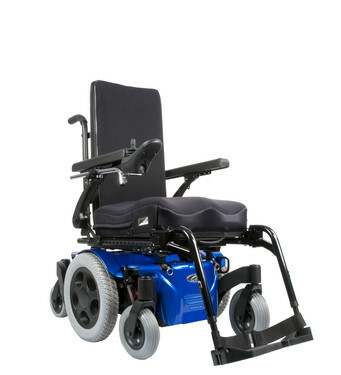 Seat-To-Floor Height No Power Seating, ASAP II Frame: 16.2" to 20.2"
No Power Seating, Captain's Seat: 16.2" to 18.2"
Single Power Seating Option (Tilt): 17.8" to 21.8"
Back Height Range 14" to 26"
Back Cane Height Fixed Low: 15.5"
Adjustable Low: 14" - 18"
Adjustable High: 20" - 26"